I am a member of Hive 2, and hive mate Christina asked for low volume Sunday Morning blocks. My LV stash is growing, so I thought I would pull what I had and see what worked together and how many blocks I could make. I ended up with a very tone on tone muted grouping that I hope will work (but I really love) and a brighter grouping that seems to match the tutorial Christina put together a bit better. 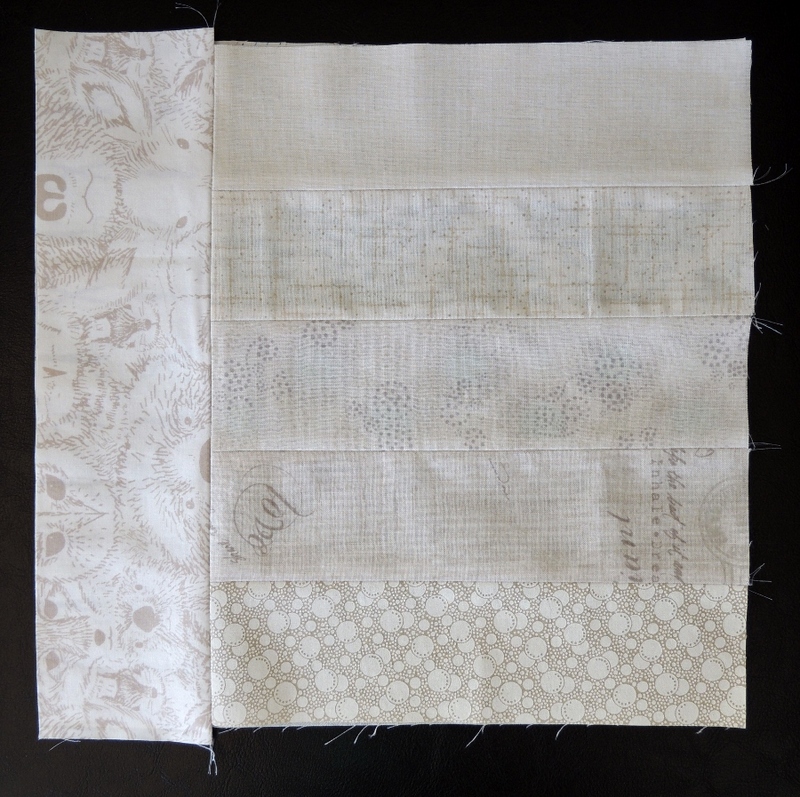 The blocks come together very quickly; I spent much more time cutting the fabric than I did sewing it all together. Christina asked for a favorite easy recipe. My husband and I love avocados, and one of our favorite quick meals to make are avocado burritos. This recipe makes 4 avocado burritos, which serves 2 adults. Cut the avocado into quarters and dice one quarter onto the center of a tortilla, forming a line down the middle. Cut the tomato into quarters and dice one quarter onto the tortilla next to the avocado. Slide or grate cheese to your preference. Add salt, pepper, and garlic powder to taste. Roll the tortillas, place on a large plate, and cut in half. Heat in a microwave on high for about 1 minute, divide onto 2 plates. Note that you don’t have to warm the burritos, but we really recommend you give it a try! When I saw Carla “gate crashing” and making blocks for people in other hives in the stash bee earlier this year, I started looking forward to being able to pay it forward and make a block for her in return. She is one of the most generous quilting friends I know, and I really hope that my block will work with her cool, calm, and collected theme. Carla wants to know if I ever decided to get a tattoo, what would it be and where would it go? Wow, I have honestly never given that any thought. The first thing that leaped to mind was a rainbow, and that feels about right (although I immediately started wondering if the colors would fade, ha, I’m such a details person!). As for where? It would depend on how the rainbow was done. I would actually really like it as a line of rainbow colors around my wrist, probably, looking like a bracelet. Shauna wants to know my favorite easy quilt pattern? 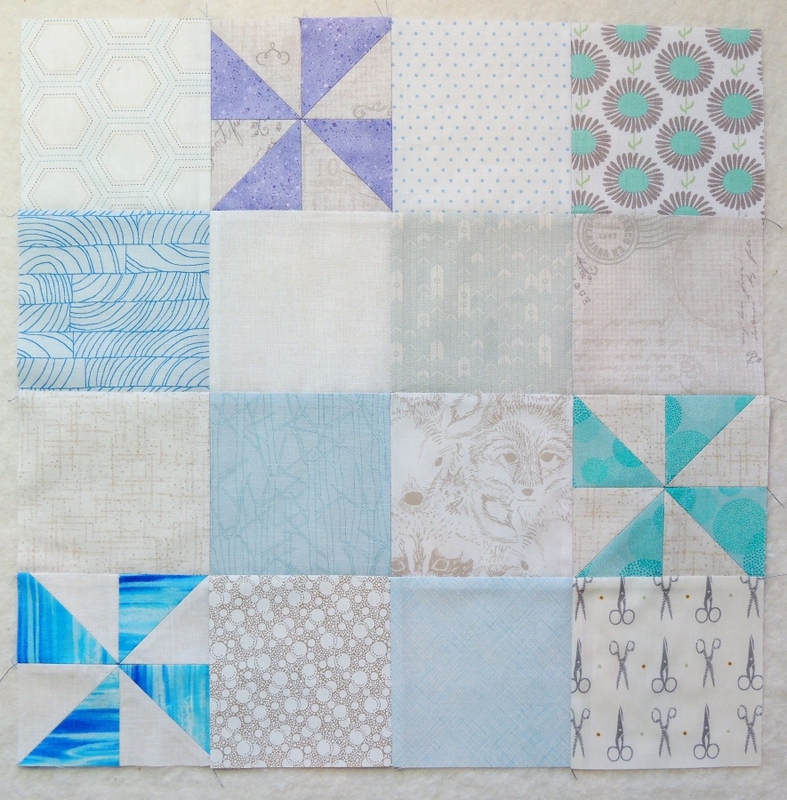 An alternate between a 9 patch and a solid square is probably my favorite, but that is heavily biased by the fact that the two snuggly quilts we had at home like Shauna describes were that pattern! 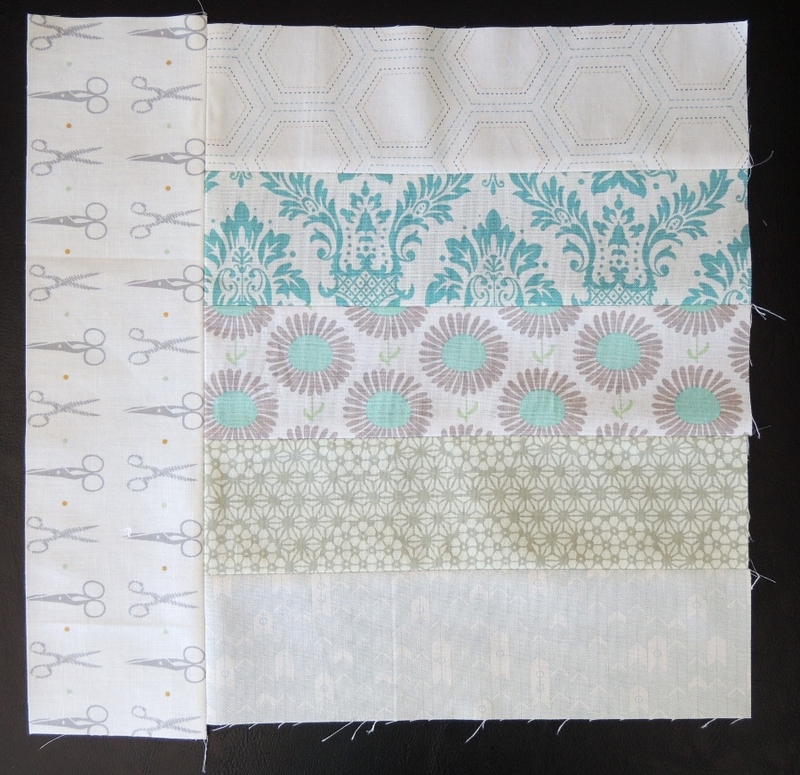 Whenever I’m not feeling the sewing vibe I make a bee block – really breaks the rut and gets me going. These are lovely and generous to crash the other hives too! I loved your response about the tattoo. I was visiting my daughter and she had put a temporary tattoo on my young grandson. His other grandmother, instead of berating my daughter, said to my grandson, “Why do you wear those. You know I don’t like them!” Without a second of hesitation, I told him I had some tattoos and asked him in front of her if he would like to see one. Of course, he wanted to see it. I pulled my shirt to the side and showed him a small round black dot. He asked me what it is. I explained to him that I was very, very sick when his mom and dad got married and I had to have a treatment (radiation). I had to have five tattoos so the technicians could line me up properly for the treatments. He was fascinated. When people start talking about having tattoos, I pop up and tell them I have tattoos and they are shocked that a conservative person like me would have tattoos. Well, my daughter and son-in-law are pretty conservative, too and they have what most people would consider as traditional tattoos. I’ve never made a bee block. I like your pinwheel patchwork block. That sounds like a great way to spend a day! I’m a sucker for those geese! Love your avacado recipe ~ I love, love avacados and so does our dog. We give her half of the avacado peel (after taking out the good part) and she licks it spotless! Then she comes back for round two…she seems to know there are two pieces to every avacado! Your blocks would even look pretty in the same quilt. I think the pinwheel one is my favorite. And that avocado burrito sounds so yummy! Your blocks look great and I am totally going to try your avacado recipe!! Sounds delicious 🙂 The first really turned down low volume block is really cool! I really really love all the low volume blocks with their subtle touches of colour. I had just been looking at the new fabrics at fabric spark , and was excited by the new selection of low volumes there. I like to collect low volume fabrics . I find them really useful. I love that you can crash the other hives in the stash bee…..how fun for the queen to receive blocks she doesn’t expect! 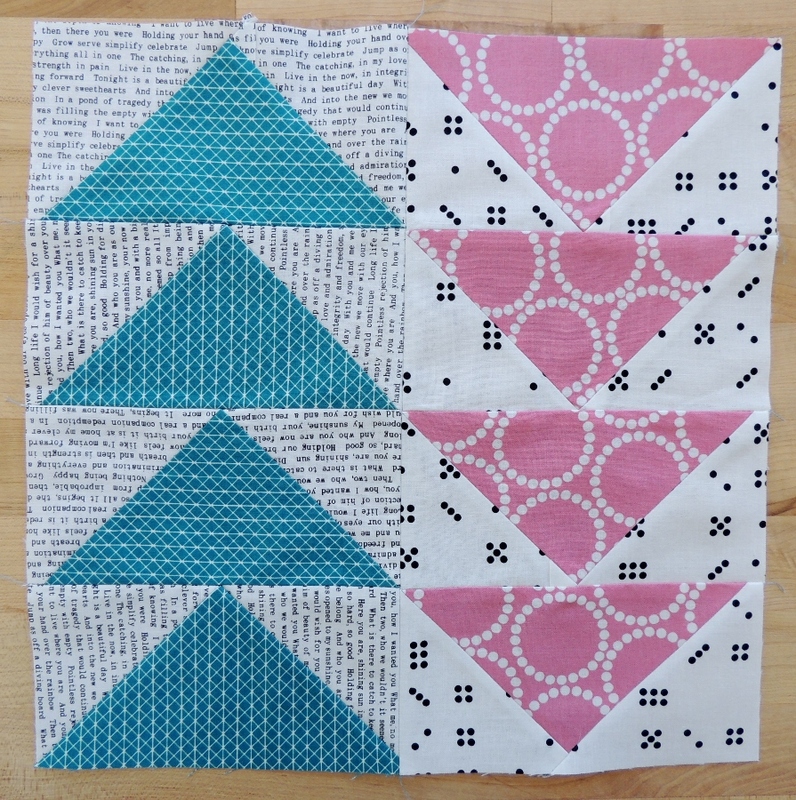 Your blocks look good together, they would be great in the same quilt! Since reading your post on Stash Bee, I have been looking at tattoos and wondering whether they fade and why they are usually that dull green and not rainbow colours! Thank you so much for the block. It will be perfect! Lovely muted colours in all of those, the flying geese are my favourite. And your nautical mini was great too, but I was too late to comment, I could see you doing a full size version of that.